Well, that is really the million dollar question! When one goes on a pilgrimage, one is at peace with himself– talking inwardly to God and trying to shake away the surroundings around. Not at Shirdi though. Appalling as it may sound, when one reach Shirdi, one will find most people to be hurrying around, trying to beat the system to get a quick glance of the revered Baba and leave. Shirdi is the abode of Sai Baba, one of the most revered saints of modern India. Sai Baba has followers across all religions, particularly the Hindus, Muslims, Sikhs and Jains. People from other religions also visit Shirdi to seek the blessings of Sai Baba. In modern times, Sai Baba has been accorded the status of God; some even call him one of the avatars of Lord Vishnu. He imparted two teachings – Shraddha (faith) and Saburi (patience). If you have faith and patience, you will succeed – he said. 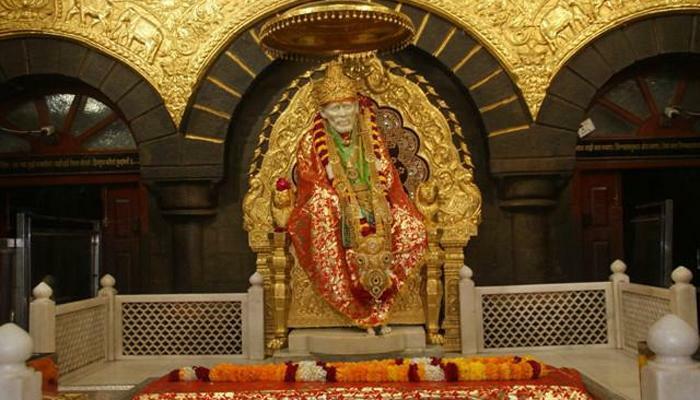 The Sai Baba Temple of Shirdi is about 200kms form Pune in Maharashtra’s Ahmednagar district. Sai Baba is considered one of India’s greatest saints and thousands of devotees flock to the Sai Baba Temple every day in order to pay their respects and seek his blessings. Thursdays are considered very auspicious among devotees for a visit to the temple as it is considered Sai Baba’s holy day; the day one’s wishes (mannat) are granted by him. A visit to Shirdi is a very special occasion for the millions of devotees of Sai Baba. At Shirdi, the day starts very early with the daily morning aarti which is held every day at 5:30 am followed the ‘holy bath’ of Sai Baba. Regular darshan starts at 7am for which devotees start forming queues as early as 4 am at the temple entrance. If one is wondering how to travel from Pune to Shirdi then there are various ways to head to Shirdi, but one should always prefer local taxi service for long distance travelling, because it is most convenient and safest way ever. The best local taxi service in Pune is Xpress car rental India. It makes the complete experience of quick travel, safe and enjoyable journey. It is safe because they provide expert drivers that are trained in all aspects of customer care and safety, also fully licensed to meet with Local Authority operating criteria. The service is provided for the family, corporate people, marriage function. Xpress car rental offers Pune to Shirdi car rental services along with full or half day car rentals at lowest rates. People can book their car online and also hire cheap taxi’s from Pune to Shirdi. One can choose best car and hire from Pune to Shirdi. Taxi service & radio taxi services of Xpress car rental India have been reviewed as one of the best cab services by the customers. With Xpress car rental you can hire luxury cars as Pune to Shirdi taxi like Mercedes Benz, Toyata altis , Innova and other high end models depending on specific needs. They also provide different amenities for customers comfort. With the help Xpress car one can visit other temples in shirdi and also can offer prayers and seek blessings. With Xpress car rental, one can experience the divine beauty of Shirdi and this experience will be memorable ever.